An Indian man took a new approach to the painful process of divorce recently. Sanjib Saha decided it would be best if he hired an impersonator to act as his wife during divorce procedures in the eastern city of Kolkata. Both Sanjib and his fake wife said they sought a mutual divorce which the court granted. Sanjib’s real wife found out later, when she was asked to leave their home. She immediately appealed to a higher court charging her husband with cheating on her and faking their divorce. The court suspended the fake divorce leaving both Sanjib and his wife married once more. “The case exposed the legal loopholes in our system,” Kaushik Chanda, lawyer of Saha’s real wife, said. Sanjib Saha finds himself in a tough situation. 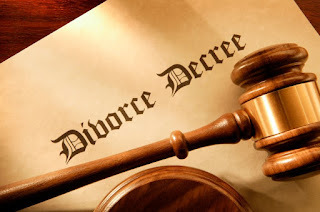 If he now tries to get the divorce legally, the judge is likely to be very hard on him and rule in his wife’s favor. If he doesn’t get the divorce he has to live and stay with his wife, who he just tried to divorce with an impersonator.